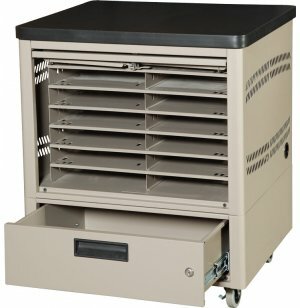 Image shown has 3" casters; this model has 5" casters. Roll your netbooks to your desired destination while keeping them stored securely in Mobile Netbook Storage Depots. 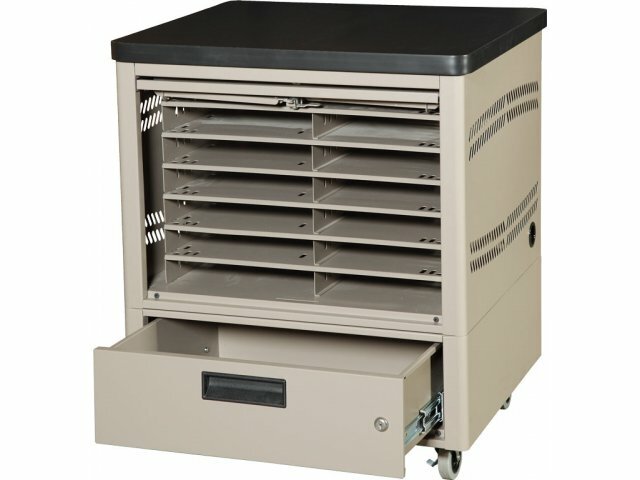 The locking-drawer base of these units supplies extra secure storage, and 5" casters enable you to push heavy loads and roll over thresholds between rooms.